Last week, Lori Lightfoot, a 56-year-old former prosecutor, was elected to replace Rahm Emanuel as Chicago’s mayor— making her America’s first black female mayor, and the Windy City’s first openly gay leader. Lightfoot’s impressive victory over Toni Preckwinkle, a well-established political figure in Chicago, has been perceived by many as the beginning of a new era in a city ravaged by stark economic inequalities, decades of crippling police brutality, and institutional corruption. Lightfoot’s victory has also been celebrated by mainstream LGBTQ organizations, who claim that increased representation of queer people in positions of power is crucial for the community’s advancement and prosperity. 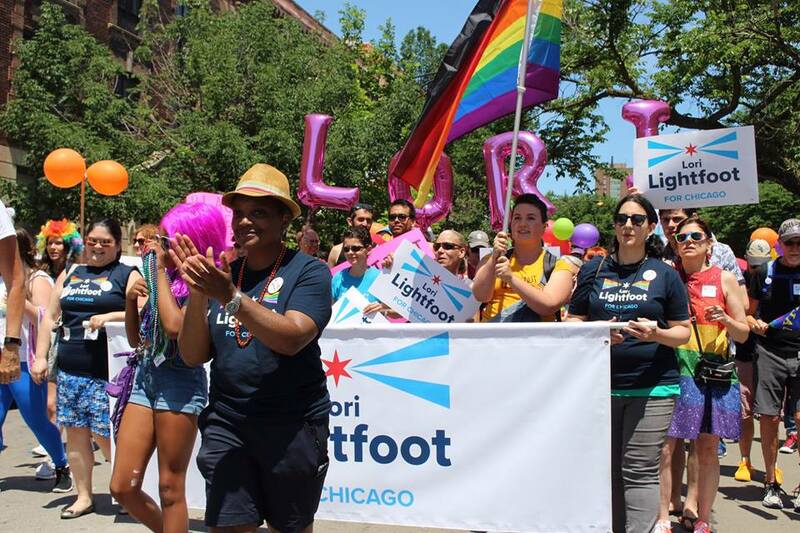 However, Lightfoot’s track record as a prosecutor and member of the Chicago Police Department has led many young LGBTQ activists to question her commitment to improving the status of African Americans and LGBTQ people in America’s third largest city. For decades, Chicago’s leadership constituted nothing short of an enclosed Boy’s Club, and it was virtually impossible for an outsider candidate to penetrate the municipal bubble, which was dominated by powerful family dynasties. In the meantime, the city’s establishment has failed to grapple with a deepening pension crisis and an ever-widening socio-economic gap between its downtown-tech hub and its West and South Side neighborhoods, populated predominantly by African Americans, immigrants, and working class residents. Furthermore, although crime rates in the city seemed to have dropped in the past couple of years, levels of gang and violence still surpass those of New York and Los Angeles, with 550 homicides reported in 2018 alone. Although a Lightfoot victory initially seemed unlikely, it was a combination of public dissatisfaction with the city’s leadership and the exposure of yet another corruption scandal implicating members of the city council that boosted her status in the race. Lightfoot’s presentation of herself as a progressive outsider, committed to fighting corruption and restoring transparency to the city’s institutions, has steadily increased her popularity among Chicagoans of various backgrounds. On election day, Lightfoot garnered a whopping 73.69 percent of the votes. Yet, while Lightfoot hasn’t been a household name in Chicago until recently, she most certainly wasn’t an outsider either. Over the past few decades, Lightfoot has built a long record of public service, holding powerful appointed positions in the city, and it is particularly this record that makes LGBTQ and African American activists question her progressiveness and integrity. Lightfoot’s introduction to Midwestern political elites began in the late 1980’s shortly before her graduation from law school, when she served as legislative aide for two congress members and as clerk for a Michigan Supreme Court justice. After working as a partner at a prestigious law firm, Lightfoot began her service in Chicago’s local criminal justice system. As chief administrator in the Chicago Police Department, Lightfoot repeatedly shielded the department from scrutiny and represented police officers accused of misconduct and manslaughter. While Lightfoot is owed an open mind as she embarks on the highly challenging task of running a city of 2.7 million residents, it’s important to remain aware of her questionable past. Lightfoot’s case is a reminder of how exclusive focus on identity labels may numb the public in its quest to hold politicians accountable and demand social justice.